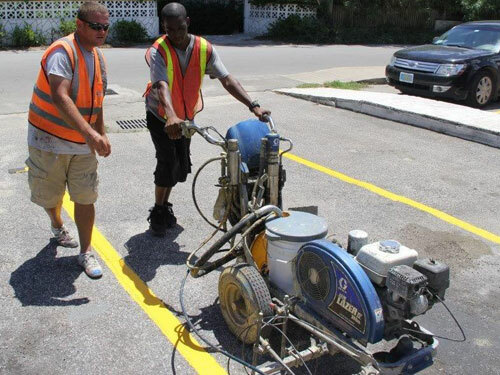 CLARENCE TOWN, Long Island – The Bahamas Government has signed contracts for repairs to the dock and construction of public toilets in Clarence Town, Long Island. Agriculture and Marine Resources Minister the Hon Lawrence Cartwright said the upgrades and bathroom facilities are much needed for this major seaport. Tourists who grace the island’s beautiful shores and residents would benefit from the infrastructure boost, Minister Cartwright said. The $59,340 contract for the dock includes repairs to the deck, concrete stairway and the wooden dock. The contract for $82,512.50 will provide toilet facilities for males and females. It makes provision for a septic tank, soak-away and a well for groundwater supply, and a pressure tank and pump. Both contracts were awarded to Laurin Knowles and Sons Construction. Public Works and Transport Minister the Hon Neko Grant headed a delegation to the island during a weekend visit to sign the contracts. He was joined by Education Minister the Hon Desmond Bannister; Minister of State for Social Development the Hon Loretta Butler-Turner; permanent secretary Colin Higgs; director John Canton and engineer Robert Mouzas. A ceremony was held at the dockside in Clarence to mark the occasion. Witnessing the event was administrator Jordan Ritchie, chief councillor Ian Knowles and other Local Government representatives, residents and students of Morrisville Primary School. 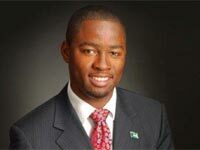 Minister Grant said he expects the projects to be of quality work, completed on time and within budget.